Every large agency should ask itself, Are we agile? Can we move with the ever-changing landscape of technology? And are we brave enough to try things people don't dare do? At Ogilvy Labs, an R&D facility and change agent that closed its doors for good this week, our foundations were built on these very principles. Our small team of five thrived on what most people fear: change. Started 9 years ago, Ogilvy Labs worked across the 10 Ogilvy group companies to challenge the norm and encourage and support new ideas. Working closely with clients and startups, we began conversations and created relationships that would otherwise never have existed. The value of this was immeasurable and invaluable. As innovation facilitators, we encouraged experimentation through new technologies such as virtual reality, augmented reality and artificial intelligence. Over the last decade, we have seen an average of 10 companies a week, and those that pass the filter have been introduced to everyone as needed. Technology is changing fast, and yes, it is everyone's responsibility to understand these changes. But how is anyone able to do their day job and keep a focus on the changes and how they affect the agency, now and in the future? R&D within the agency is a beacon for the vast army of outside, ever-evolving resources that can be identified, understood and connected to a specific issue that needs solving. It’s the role of the connector to connect those dots, especially across a large group. Many call this horizontality. Doing the job required the ability to spot trends and innovative companies, to intuitively understand their potential. It also required the ability to understand business needs. Over time, we identified the "Six R’s of innovation success," which served as our north star. These were Revenue (through taking on our own clients and acting as O&M Vice Chairman Rory Sutherland’s agent for speaking gigs), Reputation (raising Ogilvy’s profile among innovators), Recruitment (partnering with the right groups to make sure the brightest talent was considering Ogilvy as a career), Retention (creating an environment where clever minds would never get bored), Relationships (investing in startups and connecting them to the right people) and Responsibility (just like the larger Ogilvy network, we were always focused on giving something back). Often in agency life, briefs come in from clients, or ideas are dreamed up by creative people that need an external sounding board, one that understands all the outside resources available. Ours was not just an internal job, and it was not solely a client-focused job. And this is where the problem lies: The cost of R&D cannot be monitored on an hourly rate using a spreadsheet. And that’s what it comes down to. Are more innovation labs at risk as agencies focus on margins and quarterly profit? The industry can’t mortgage it’s future in exchange for a slightly more presentable P&L today. It is not by accident that advertisers have been investing in a lab-type resources themselves. You don't know what you don't know. A good lab operator will constantly be attending seminars and networking around the world to do their best to learn what they don’t know, working closely with start ups and interacting with product teams to keep an eye out for business opportunities. R&D people are different than client service people and agency management people. The here and now requires both, because a significant chunk of worldwide ad spend still goes to traditional media. And that represents the biggest risk to creative agencies, because they have to balance the resources they make available to meet both needs. Large agencies have thousands of people working all over the world on hundreds of clients, it’s impossible to be synchronized. Having a lab that connects the dots isn’t valuable in the slightest. It’s invaluable. 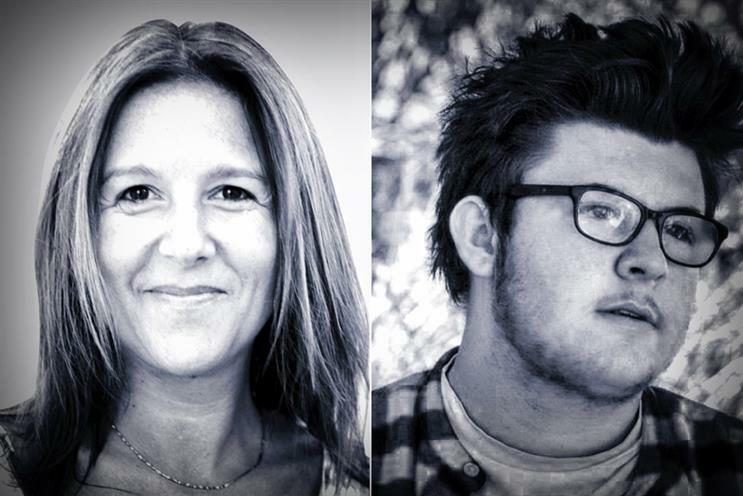 Nicole Yershon was director of innovative solutions at Ogilvy Labs, and Tom Sharman was the group’s social strategist.